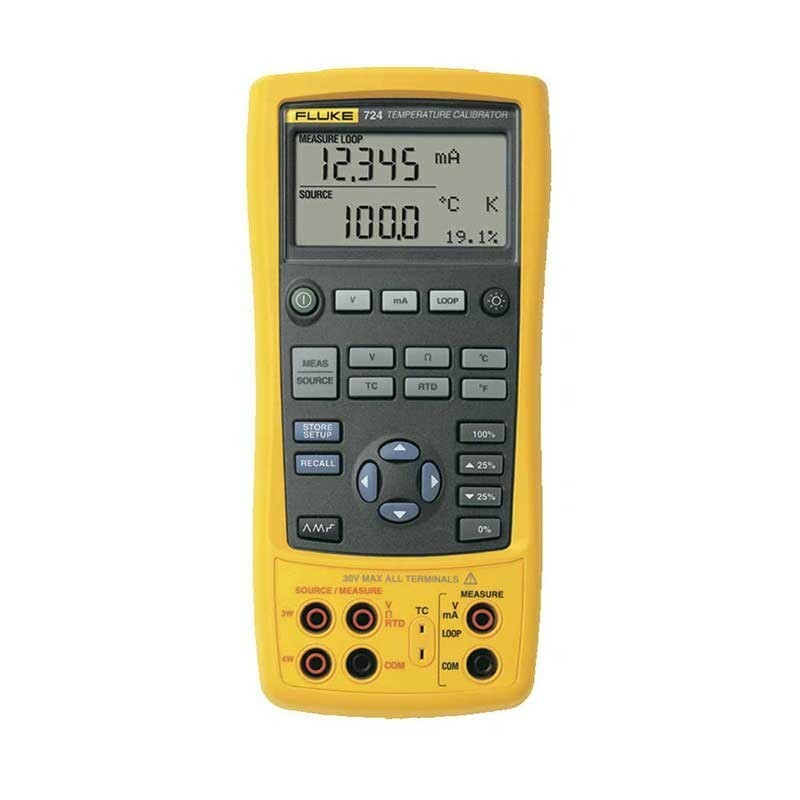 Includes: Fluke 724 Temperature Calibrator, AC70A Test Clips, Pair of Stackable Test Leads, TL175 Test Leads, Printed and CD-ROM User Manuals, NIST-Traceable Calibration Report and Data. 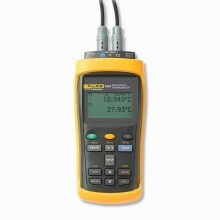 The Fluke 724 Temperature Calibrator is a handheld, battery-operated instrument that measures and sources a variety of thermocouples and RTDs. 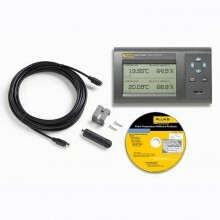 Now you can carry one tool to test all temperature sensors and transmitters in your plant. 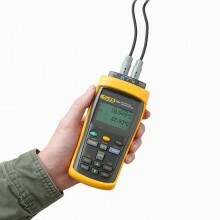 The Fluke 724B can measure and source 12 thermocouple types and seven RTD types, plus volts and ohms. Easy to read dual display lets you view input and output simultaneously. 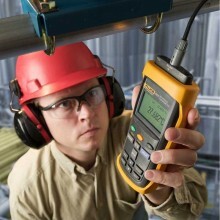 Measure RTDs, thermocouples, ohms, and volts to test sensors and transmitters. 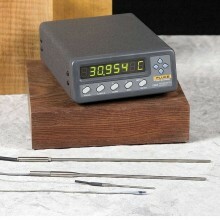 Source/simulate thermocouples, RTDs, volts, and ohms to calibrate transmitters. 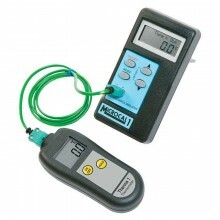 Perform fast linearity tests with 25% and 100% steps. 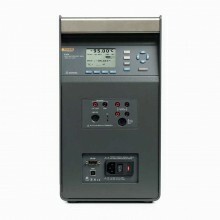 Execute remote tests with auto step and auto ramp. 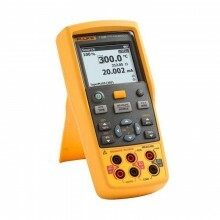 Power transmitters during test using loop power supply with simultaneous mA measurement. Compact, streamlined shape makes it easy to carry. 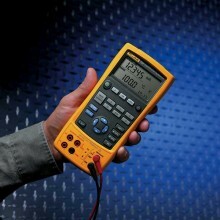 Rugged, reliable design stands up to field use. Backlight lets you work in poor light. 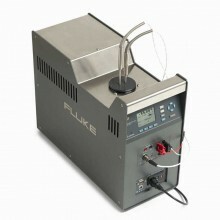 Large battery capacity of four AA cells. 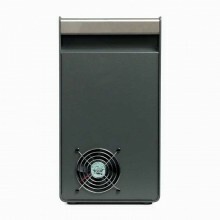 Battery door for easy changes. 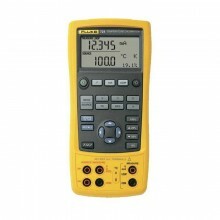 20.000 V 0.02% + 2 counts (lower display). 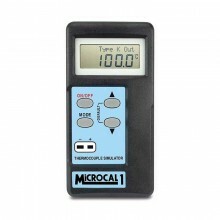 -10.00 mV to 75.00 mV 0.025 % + 1 count (via TC connector). 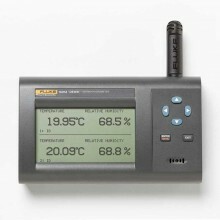 Humidity (without condensation) 90% 10°C to 30°C. Safety rating CSA C22.2 No. 1010.1:1992. 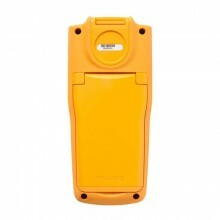 EMC EN50082-1:1992 and EN55022:1994 Class B.
Dimensions 96 x 200 x 47 mm. Batteries Four AA alkaline batteries. 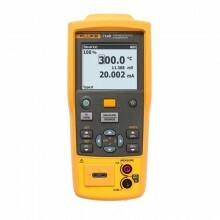 Fluke 724 warranty Three years. Battery life 25 hours typical. 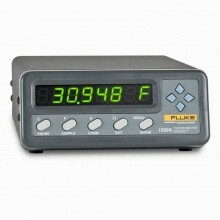 PDF Specifications of the Fluke 724 Temperature Calibrator.